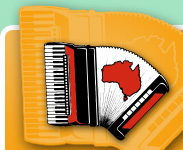 The Australian Accordion Teachers Championships and International Festival offer six performance categories: International Open Accordion Championship, International Competition for Ensemble Music, International Pacific Piano Accordion Championship, Australian Championship, Standard, Qualified. Please note, competitors must bring proof of identification on the day of the competition e.g. passport, birth certificate, identity card. All times listed are maximum playing times. Please ensure, you have read all parts of this Prospectus relevant to your class, especially the Competition Rules, before sending in your entry. These classes are open to contestants from any country playing button or piano accordion. All placegetters of International Championships classes are presented with certificates. Winners receive a trophy which must be returned to the AATA Office no later than 21 days prior to the next year's competition. Winners wishing to retain the trophy may purchase it. Australian and International Pacific entrants in these classes are automatically entered in the equivalent Australian and International Pacific Solo Championship Class, dependent upon their eligibility as set out in this Prospectus. Australian and International Pacific entrants play only once and pay one entry fee, even though that one performance may result in winning the Australian, International Pacific and International Open titles. Own choice programme consisting of at least 2 pieces of different style and character and composer. Maximum 8 minutes playing time. Own choice programme consisting of at least 2 pieces of different style and character and composer. Competitors must present themselves as artists to an audience; presentation, dress and stage-craft all being important. Maximum 10 minutes playing time. This class provides a stepping stone to the International Open Accordion Solo Championship category. Each contestant will perform an own choice programme with a minimum of 2 pieces in differing styles, character and composer. Competitors must present themselves as artists to an audience; presentation, dress and stagecraft all being important. 10 minutes minimum and maximum 15 minutes playing time. OWN CHOICE PROGRAM: consisting of 3 or more pieces including one from the Baroque era, one piece to be of a slower, lyrical style* and one piece of a technical virtuosic style**. It must contain at least one Original Work but transcriptions may also be used. Individual movements from cyclic works are acceptable. Playing time: minimum 15 minutes to maximum 20 minutes playing time. Failure to observe minimum or maximum playing time will result in a mark penalty. Playing time: maximum 15 minutes. Failure to observe the maximum playing time will result in a mark penalty. There will be 1 round. External sound modules, MIDI modules, backing tracks including SMF, audio files, CD or MP3 player etc. may be used. The organiser will provide a mixer sound system with a mixer plug-in for 1 or 2 channels and a single power plug (local plug) of 230 volts. The candidate must provide all other equipment. Rehearsal time of up to 15 minutes per candidate will be scheduled prior to the competition. Performance sound set up time - maximum 2 minutes. Performance sound break down - maximum 2 minutes. All types and make of digital accordion may be used and bellows must be the primary volume control of the digital sounds. Digital accordions with acoustic sounds are permitted with the reeds amplified provided the candidate uses the accordion and bellows to make substantial use of digital sounds. The adjudicators marks will be based on: show / entertainment; musicality; digital technology use. Audience and/or candidates from other categories may be adjudicators. For two (2) to five (5) musicians, minimum one accordion (e.g., can be multiple accordions, or accordions with other instruments). Ensemble Music competition is for acoustic instruments (no electronics). All accordions must be acoustic reed instruments. No MIDI accordions are allowed. One bass accordion may be amplified; however, the candidate must provide their own amplifier. Own Choice Program of concert music consisting of at least two (2) pieces with contrasting style. The competition organizers will not provide instruments . OWN CHOICE PROGRAM: Own Choice Program consisting of at least two (2) pieces of different styles and moods. Playing time: maximum 15 minutes. These classes are open to contestants from the following countries or territories: Philippines, New Caledonia, Thailand, Indonesia, Malaysia, Singapore, Guam, Vietnam, Kampuchea, Hong Kong, China, Japan, Taiwan, Korea, Canada, USA, Mexico, Panama, Chile, Peru, Ecuador, Colombia, Argentina, Costa Rica, Nicaragua, Guatemala, New Zealand and all South Pacific nations and territories. The winner of the International Pacific Piano Accordion Solo Championship class will receive a personalised internet page on Accordions Worldwide internet site for 1 year from the competition date. All placegetters of International Championships classes are presented with certificates. Winners receive a trophy which must be returned to the AATA Office no later than 21 days prior to the next year's competition. Winners wishing to retain the trophy may purchase it. Australian entrants in these classes are automatically entered in the equivalent Australian and International Championship Classes, dependent upon their eligibility as set out in this Prospectus. Australian entrants play only once and pay one entry fee, even though that one performance may result in winning the Australian, International Pacific or International titles. Own choice programme consisting of at least two pieces of different style and character and composer. Competitors must present themselves as artists to an audience; presentation, dress and stage-craft all being important. Maximum 10 minutes playing time. Candidates up to 32 years of age are allowed to enter the competition. Entrants in these classes must be Australian residents. By entering a class in the Australian Championship Category entrants compete for the honour of winning an Australian Accordion Championship title. The Australian Championship classes are based on age. Some Australian Championship classes with an age limit require a Test Piece which every competitor must perform. Some classes require an Own Choice piece to be performed in addition to the Test Piece. Some classes require one or more Own Choice pieces to be performed. All placegetters of Championships classes are presented with certificates. Winners receive a trophy which must be returned to the AATA Office no later than 21 days prior to the next year's competition. NOTE: A contestant may not in the same year enter a Championship solo class and a Standard solo class. Contestants in the Australian Championship solo classes are automatically entered in the equivalent International classes dependent upon their eligibility as set out in this Prospectus. Australian entrants play only once and pay one entry fee, even though that one performance may result in winning Australian, International Pacific and International Open titles. One Own Choice Piece, maximum 3 minutes playing time. Own choice programme consisting of at least two pieces of different style and character and composer. Maximum 8 minutes playing time. This class provides a stepping stone to the International Open Accordion Solo Championship category and the Australian Open Accordion Solo Championship. Each contestant will perform an own choice programme with a minimum of two pieces in differing styles, character and composer. Competitors must present themselves as artists to an audience; presentation, dress and stagecraft all being important. 10 minutes minimum and maximum 15 minutes playing time. OWN CHOICE PROGRAM: consisting of 3 or more pieces including 1 from the Baroque era, 1 piece to be of a slower, lyrical style* and 1 piece of a technical virtuosic style**. It must contain at least one Original Work but transcriptions may also be used. Individual movements from cyclic works are acceptable. Entrants in these classes may be from any nation or territory. Classes in the Standard category are regulated by both age and playing experience. This offers people who might have been learning for a short period of time, or have begun learning later in life, the opportunity to compete on a more equal basis. All music is Own Choice, one piece only. A contestant may not in the same year enter a Standard solo class and an International or Championship solo class. A contestant may not enter a Standard solo class if he/she has been placed first or second in a International or Championship solo class the previous year. All place getters of Standard classes are presented with certificates. Winners receive a trophy. Entrants in these classes may be from any nation or territory. Classes in the Qualified category are based on actual age, as at 8th June of the contest year, or on specific styles of music, or presentation. All music is Own Choice, one piece only. The Qualified category includes classes for different types of music, such as jazz, pop, novelty, ethnic, accordion with other instruments, accordion and vocal, etc. This offers each competitor a suitable class in which to perform their favourite music, and we hope, demonstrate the versatility of the accordion. All placegetters of these classes receive certificates. For Creative Classes the performer is not required to provide written music for the adjudicators. This is to encourage the performance of individual arrangements and improvisation. A duet shall consist of two performers and if two accordions, then both must play bass. The age of the eldest duet partner shall decide which age class a duet is eligible to enter. All times listed are maximum playing times. Please ensure you have read all parts of this Prospectus relevant to your class, especially the Competition Rules, before sending in your entry. Own choice programme consisting of at least two pieces of different style and character and composer. Time limit 10 minutes. Performances by 3 to 6 players. Trio/Ensemble Category contestants perform one Own Choice piece. All times listed are maximum playing times. The age of the eldest member of a trio/ensemble shall decide which age class a group is eligible to enter. An orchestra is defined as a group of not less than 7 performers excluding the conductor. In all orchestra classes, at least 60% of performers (excluding the conductor) must use acoustic accordion. All music is Own Choice program. All times listed below are maximum on/off stage times. All performers, whether or not they play the accordion, must be members of the AATA. Please ensure, you have read all parts of this Prospectus relevant to your class, especially the Competition Rules", before sending in your entry. 12 years and under, 12 minutes program. Open to all players, contrasting program, 30 minutes. Open to all players, the programme will be judged on its general public entertainment appeal, 20 minutes.